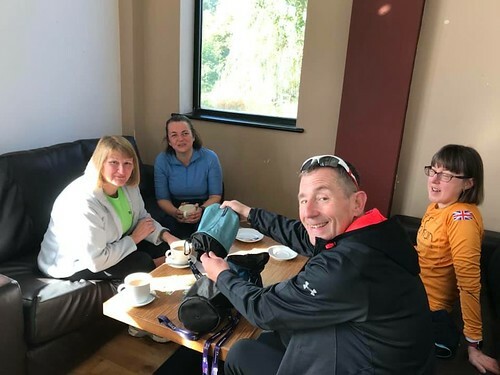 My home event Sandwell Valley parkrun was cancelled today and having briefly met some of the runners and volunteers when they kicked off their charity 8.5 parkruns in one day with us a couple of weeks back, I thought I would repay the favour by joining Arrow Valley for a spot of parkrun tourism. 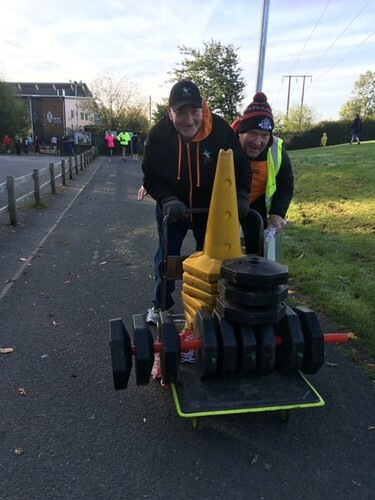 I was joined by another of our regular volunteers Neil Langley and we were both wearing our bright lime green t-shirts displaying “Sandwell Valley parkrun volunteers on tour” on the back of them. 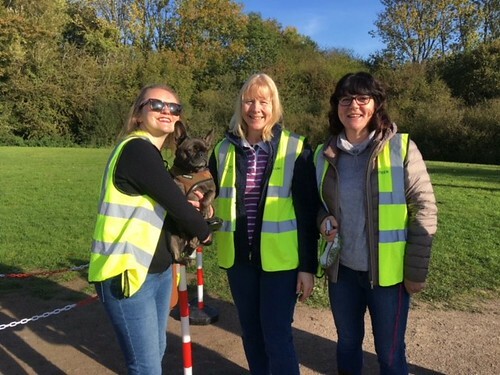 We both volunteer quite regularly, so don’t often get the chance to run and this was an ideal opportunity for us and one that we both thoroughly enjoyed. 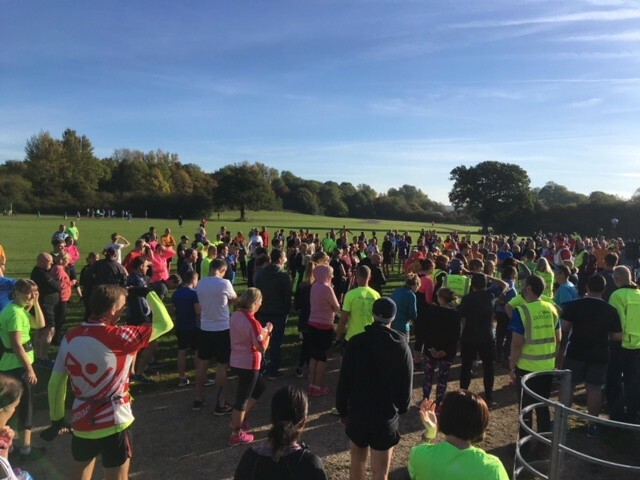 As we walked towards the start, both Neil and I felt positively chilly in the tree cover of the car park and pathways but soon warmed up when we arrived at the bright sunlit field in readiness for the start where it was obvious that there was going to be a big turnout. A quick hello to a couple of people I recognised, briefings completed and we were off on a really pleasant two lap course of the lake. A few of you certainly noticed us as you kindly said hello and had a quick chat with us on the way around which is always very welcoming and very nice of you to take the time so we thank you for that. The last Saturday in the month here also means that it is pacer’s week. A total of fourteen pacers in sky blue vests helped out and a staggering 100 PB’s were achieved. 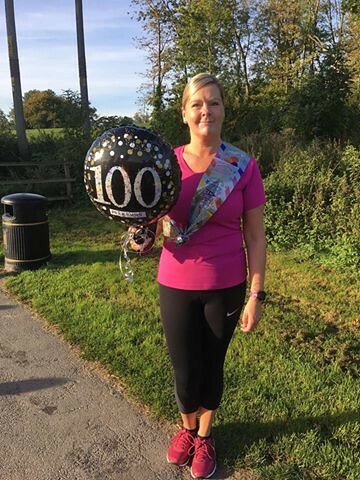 Well done to the pacers and to all those with a new PB this week. After the event, Neil and I stopped at the café and we gave a little bit back by token sorting. 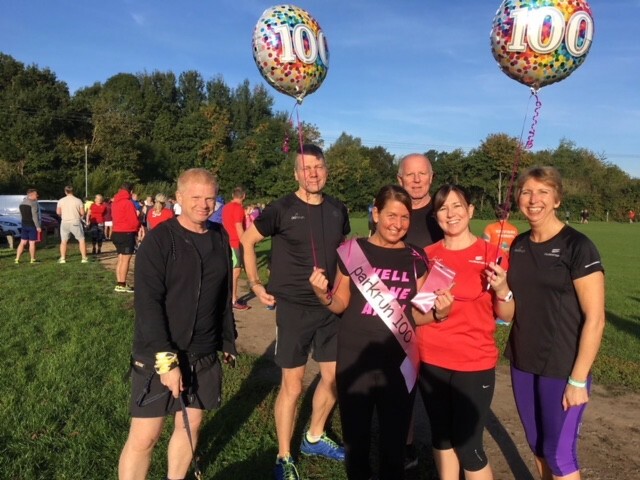 We were joined by Rosanna Palmer who has become a bit of regular at Arrow Valley having started C25K earlier in the year with Lickey End Striders and Karen Hurrell from Haigh Woodland parkrun who was attending a course nearby. In all we sorted a total of 437 finishing tokens in readiness for you all to do it again next week. Heather Baldwin, Richard Banks, Scott Beverley, Christopher Bird, Alison Bolton, Bill Bradley, Joshua Bradley, Diane Mary Brian, Mark Brindley, Sula Broad, Eleanor Broad, Sharon Colfer, Rachel Davies, Paul Egan, Malcolm Green, Clare Grennan, Rory Hancock, Tim Harrison, Anita Hartley, Nick Harwood, Hollie Heffernan, Ian Hurst, Jo Knight, Neil Langley, Robert Morris, Jessica Nielsen, Rosanne Palmer, Elizabeth Paterson, Terri Rose Powell, Stephen Rea, Nick Secker, Emma Shannon, Olivia Smith, Helen Smith, Amelia Smith, Simon Taylor, Dawn Teague, Katie Thorley, Emma Tisdell, Lizzie Tovey, Mark Tovey, Christopher Weaver, Ian Widdows, Paula Widdows, Shantell Willmott, Ricky Young And Karen Hurrel. 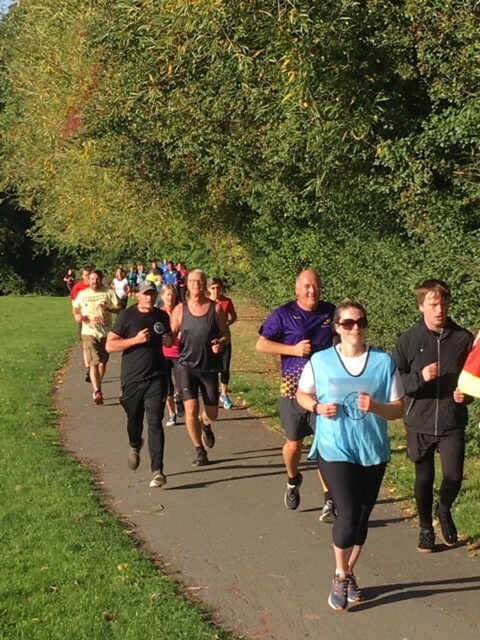 Thank you to Mark Brindley for the photos within this Run report.